Better sound quality = better listening! I could really use audio improvement. I am a junior in college and my current laptop has no sound at all! Having to go to the library and use their enormous headphones from the 70s is getting old! Better audio would mean that my family could gather around the computer and watch movies together! Our DVD player is currently out of order, and our computer is the next best thing. However, the sound on our current PC is crackly at best… and nonexistent at worst! Having Dolby would make movie night a lot nicer. I like to listen to music while I am on the pc - but the sound system I have is not the greatest and sounds worse than just listening to the radio. Great sound makes for great multimedia experience. Better PC audio would allow me to enjoy my itune library whenever and wherever I take my PC. It would eliminate the need to carry an extra device (ipod) and speakers of some sort. and I would love to no longer have to share a computer with my family!! Already a subscriber Better audio on my PC would enhance my life greatly, music is my passion and my only relaxation in a very stressful life, full of homeschooling my autistic children. Better PC audio would be a great help since my new company is devoted to promoting music. I need a laptop to take with me on locations. Very nice, I could use one of these. This would be a great Christmas present for my son! Having improved audio would greatly open my world up to understanding sounds and language in a more definitive manner. I have hearing impairment and would very much so appreciate the “Lenovo Laptop with Dolby Audio”, so that I could continue to experience the “beauty of language and music” along with having a high quality computer! I would get a lot more pleasure from YouTube videos! Wow this would be turned into the perfect wireless remote for my new home theater. I wouldn’t have to constantly borow my Son’s gaming headset so I can listen to music or talk on Skype!! I could do better post production for my friend’s hip-hop CDs. My grandson and I could have more fun playing games on my computer. My husband, son, and I catch up on tv shows that we’ve missed, watch movies, and we’re all avid gamers. Better audio on our PC would enhance all that we do! This laptop would provide music therapy as I worked on it at my workplace, a job I am still thankful to have, to help me cope with the current economy. If I had better audio on my computer maybe I would watch more movies and videos through my P.C. Better audio on my PC would improve my life by helping me watch and listen to things much clearer than I do right now. At the moment the sound that my laptop gives off is rather dim, even when I enhance the audio any other possible way. This would further help me along the way. I am a school psychologist and write a lot of reports. Listening to music while writing actually helps me relax and gather my thoughts—my very old laptop has very poor audio so I don’t even try and stream music much anymore. I don’t even have my own computer—so my own computer with great audio would allow me to watch movies and listen to music online. How would better audio on your PC improve your life? When I watch movies, it is sometimes like the difference in listening to a midi file (current audio) versus Dolby 5.1. I would rock all night with it. 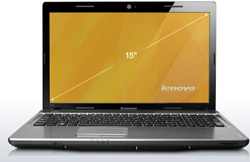 Would love this new Lenova with superb Dolby audio since I sometimes watch movies on my current laptop. I would love to win this. It looks very nice. Laptop sound quality??? What is that? Because it sure didn’t come with my Dell. It would certainly be nice to actually hear the dialogue while I’m watching Netflix movies…. A family member moved in with us recently. I’ve let her use my iPod upstairs in the exercise room and it somehow finds it’s way into the dock in her room instead of back to my office and stays there, hmmmm. With great audio on a laptop I could be happy listening to tunes on there instead of hauling myself upstairs everytime to recover the iPod everytime Or maybe I could reclaim the iPod and give her the Leveno! Anything would be an improvement to the computer I have!!! A better audio on my computer would definitely improve things. I have a hard time hearing the voices since it sounds like an echo. Watching movies on the computer I have is painful sometimes because the sound is so bad…this would be an awesome improvement! I’d actually be able to hear my music and audio while my air conditioner is running. I have some difficulty hearing, so a really good sound system would make it a little easier for me. Having better audio would help with training calls and help with other forms of studying too. A clean, crisp sound on youtube would be nice too! I am hard of hearing so this would be of great help to me. By having better audio on a laptop I could watch movies or shoes without plugging it into my speakers for higher volume and rock out to my music while im out. It would just help a lot because of the higher quality of sound. I do a lot of recording , editing , and mp3 conversions. This would help alot. I have a great pc but sometimes the audio could be better. I’d be able to watch shows on Hulu.com and actually hear everything! We have one tv in our house and many different interests. A laptop with good audio would be great for those times when one of us wants to hole up and enjoy a movie. My hearing is fading and anything thats helps sound be clearer is something that i would use alot! I would get so much more out of my computer if only I had decent audio! My sound quality on my laptop is so bad that I almost never listen to music or watch videos on it. Better audio on my PC would improve my life by being able to hear (& watch) quality movies, internet videos & music. It would make the PC all-around experience so much better & more enjoyable. Quality sound on a PC would drown out the household machines [washers, dryers, dishwasher, other TV’s, etc.] and allow you to really HEAR what is being said. Improved audio would help when voice-chatting with friends across the country. That doesn’t always work out over regular phonelines.